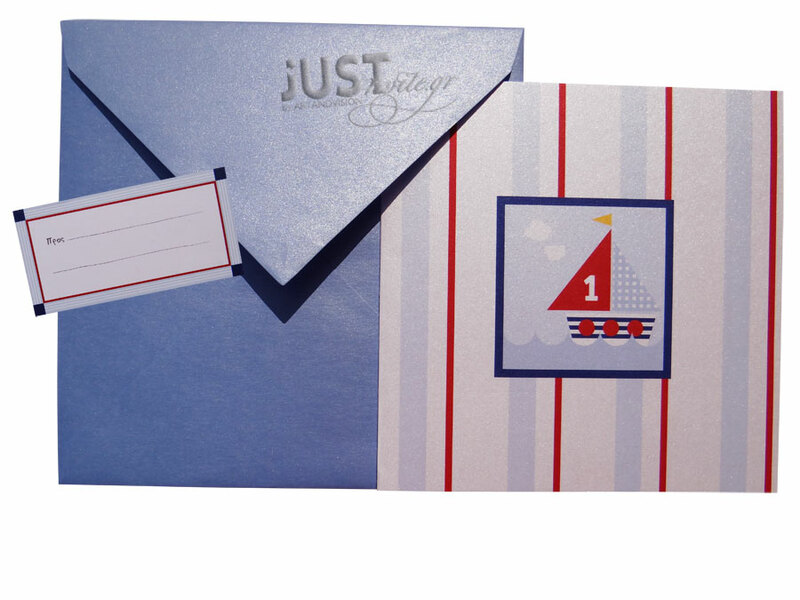 Nautical Christening invitations for Greek Baptism with a boat in baby blue-red colour, coming in a board with a boat pattern and stripes in red and blue. The matching envelopes are square pearlised paper with the guest’s name tag attached to it. Your personalized wording is printed in plain blue colour. Size: 17 x 17 cm. https://www.preciousandpretty.com/2017/04/boat-greek-orthodox-baptism-invitations-C1003.html Greek Wedding Favors|Orthodox Crowns|Stefana|Baptism Invitations Boat Greek Orthodox Baptism invitations C1003 Nautical Greek Orthodox Baptism invitations with boat for boy Product #: Greek Wedding Favors|Orthodox Crowns|Stefana|Baptism Invitations_7557748666916039839 5 stars out of 5 reviews.